Arguably the most important principle in grazing management is allowing adequate rest periods. 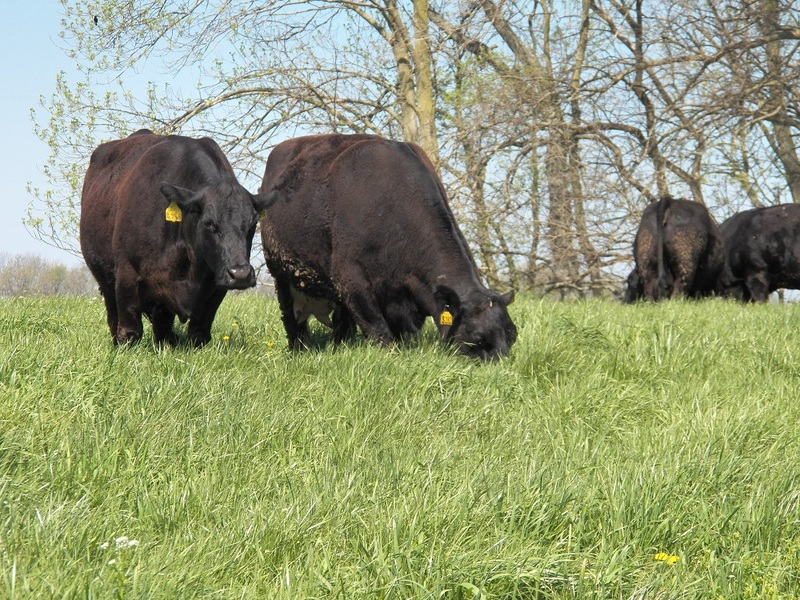 Resting pastures simply means removing the grazing pressure to allow the plant to regrow and replenish root reserves. This typically is done by moving cows to a new paddock within a pasture. Plants need rest. Plants that are overgrazed are continually asked to rob nutrients from the roots to grow more leaf material to allow photosynthesis. When leaves continue to be removed, the plant is not able to efficiently photosynthesize. As a result shallow, weak root systems are more susceptible to plant death and stand reduction. The correct amount of rest is important. Too little rest will result in poor yields, less root mass, more stand reduction, more weed pressure, and more parasite pressure on the grazing animal. Too much rest will result in poor quality, less palatability, less nutrient value, and poorer performance of the grazing animal. The correct amount of rest will depend on season, weather, forage specie, and residue left from the previous grazing. Less rest will be needed for cool season grasses in the spring when they are growing fast and more rest will be needed in the summer. In dry periods, it is important to allow more recovery time for the plant to continue root growth which will allow the plant to tap subsoil moisture. Many grazers will use a grazing stick to help assist in determining the time to rest pastures. However, if you have cows, then you can measure by watching them graze. A good rule of thumb is "keep forage above the muzzle and below or at the eyes." Leaving some leaf matter and height on the plant before resting it will allow it to re-grow faster. Grazing is influenced by many factors (animals, season, weather, previous grazing, soil fertility, plant species, etc.). Thus, there is no one size fits all when it comes to grazing. Allowing pastures to rest may sound basic, but it is pivotal in getting the most out of your forage.